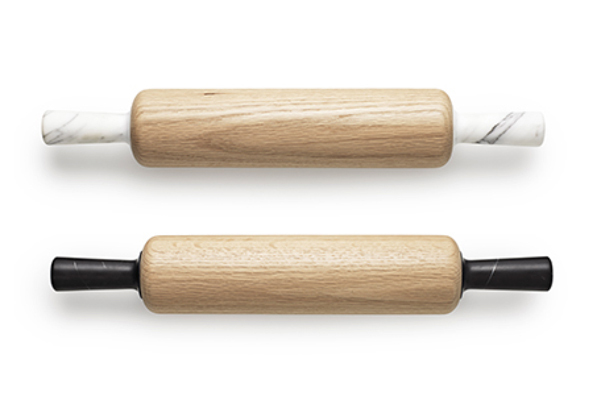 Designed by Norman Copenhagen, the Craft Rolling Pin is made of white oak wood and marble. Comfortable and heavy to make rolling easier, it is part of the luxury Craft collection by Simon Legald, which includes salt and pepper mills, mortars and pestles, as well as paper towel holders made of the same natural materials. The rolling pin comes with either black or white handles and is sold US$175.